And the apron saga is finally reached its finale. And a huge sigh of relief. 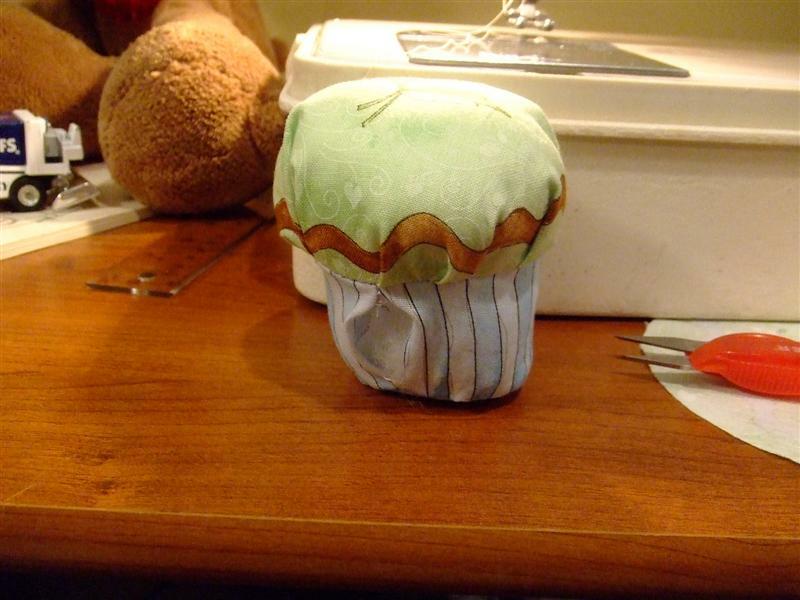 The last missing tidbit was the cutesie little cupcakes I decided to go ahead and make to go along with the apron. Cupcakes are, after all, just little pieces of cake, right? Wrong. 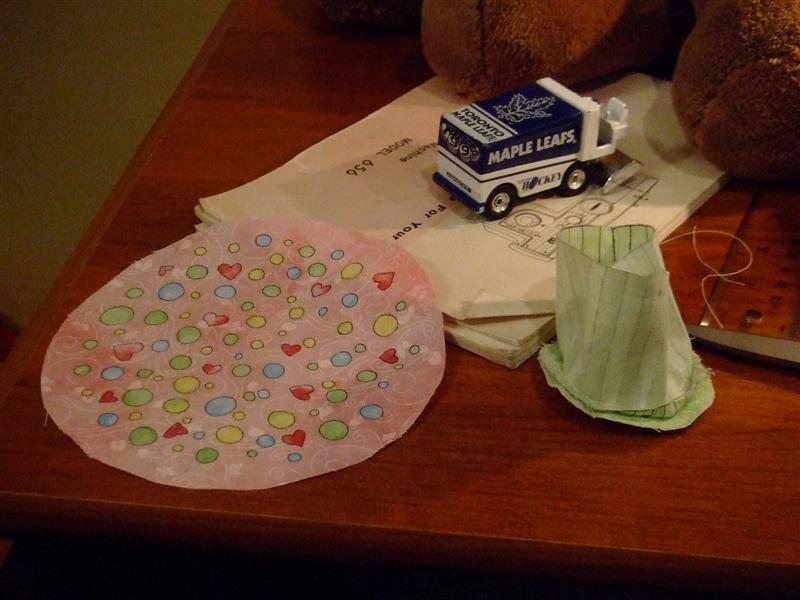 Essentially, I must sew these little pieces together, inside out, then turn them right side out through a teeny little hold, and put stuffing on their inside through said same little hole. What was I thinking? This actually took more thought on my part than it probably should have. 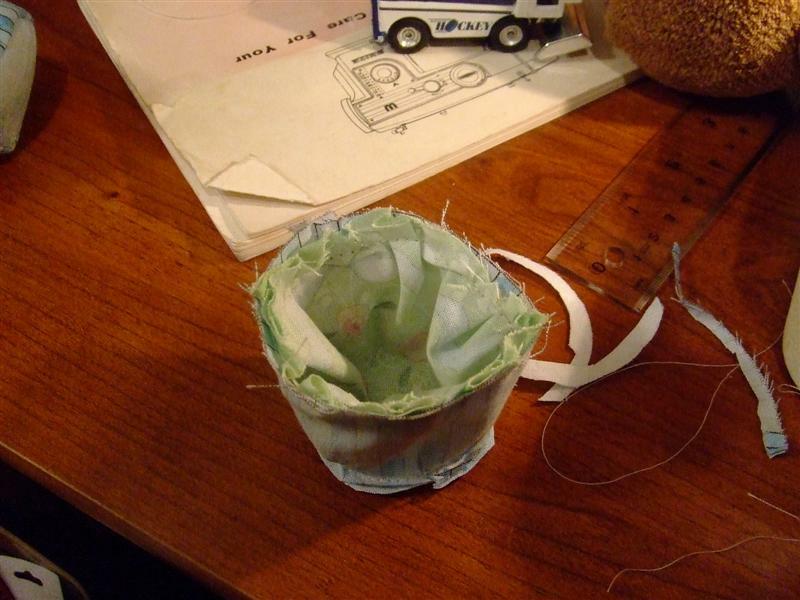 I actually woke up with an epiphany about this particular sewing dilemma a few days ago. Don’t ask. Obviously my life needs a little excitement. And perhaps I need to get out a bit more. At any rate, the above method did not work. This method did work. Very well, in fact. Note to self: do not attempt to skip the gathering stitch. That old gathering stitch. It will get you every time. 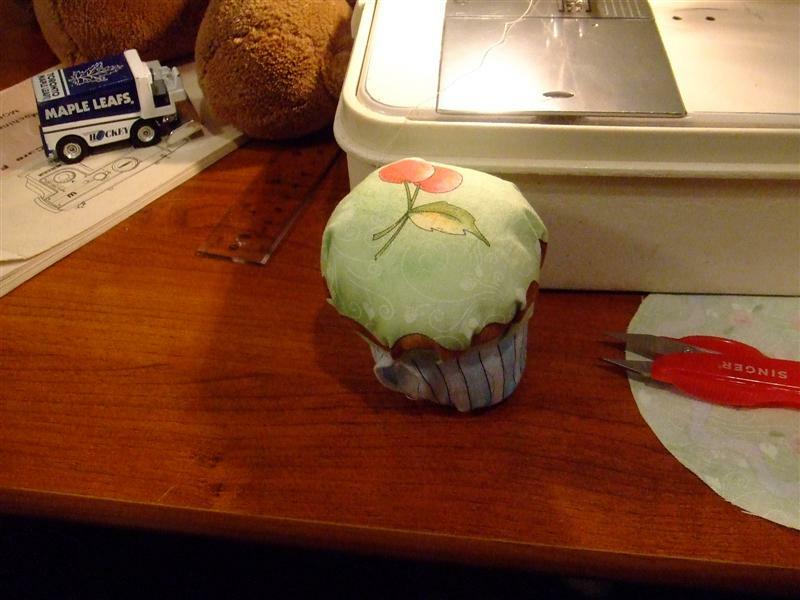 Essentially, hand stitch a very loosey goosey stitch around the outside edge of the cupcake top and then pull until it is tightened up to about the same diameter as the cupcake bottom, and then stuff it inside. 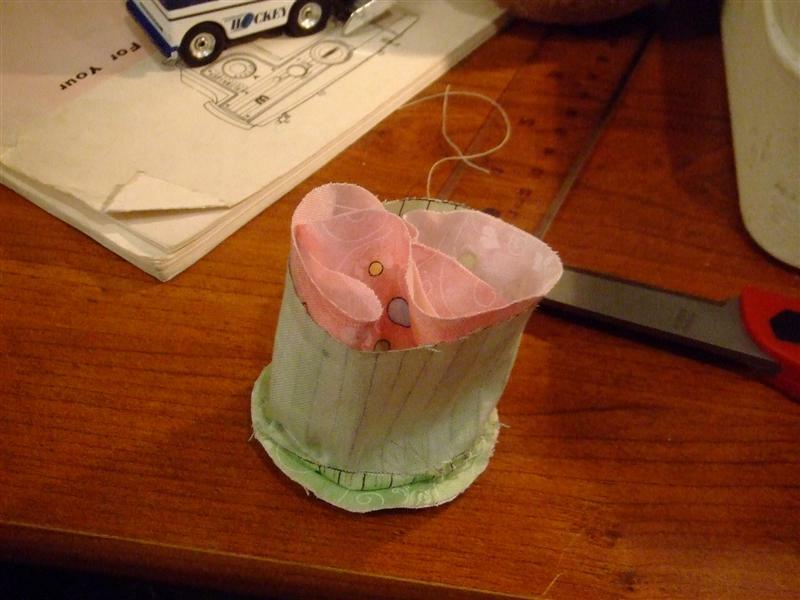 Then proceed to machine stitch around the outside. Repeat three times to complete all three cupcakes. And there you have it. After you turn it right side out through a teensy little hold, you then proceed to stuff fibrefill back through that same teensy little hole. See that hole? Yah, that’s the one. Then you need your wonderful Heat ‘n’ Bond to be snipped to size and ironed on. I haven’t done that part yet. That’s why I can still type this. My finger flesh hasn’t been melded to the cupcakes. So there you have it. Lovely, non-edible, vaguely functional cupcakes for my girl. That have been finished several days after her birthday. And whose greatest purpose is to occupy more space in our living room. And, of course, more space in my girl’s heart. And that’s all the reason I ever really needed.